On 23rd November 2016, the opening morning of LUXLive 2016, our partnership with Gooee was announced alongside Feilo Sylvania and Aurora Lighting in the IoT arena. 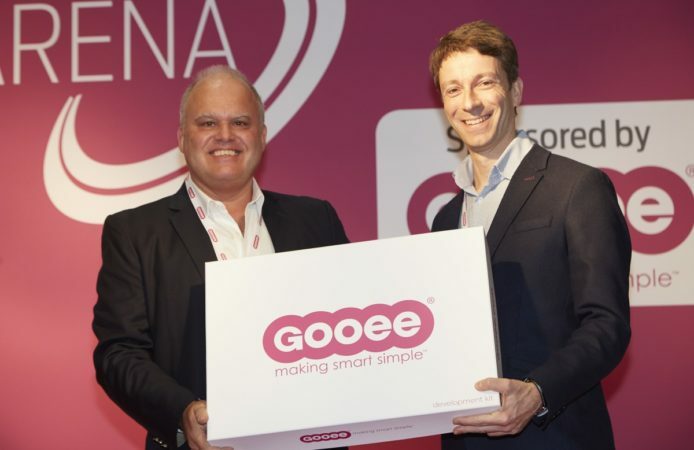 John Cullen Lighting was given the official IoT development kit from Gooee that provides us with access to Gooee’s IoT Gateway, Wireless Interface Module (WIM) development boards – the link between the Gooee Cloud & hardware – Smart Sensors, Application Process Interface (API) keys – for enhanced security – and entry to Gooee’s portal. Keep an eye out on the upcoming developments of our collaboration and new IoT products throughout 2017! For the full press release from Gooee click here.